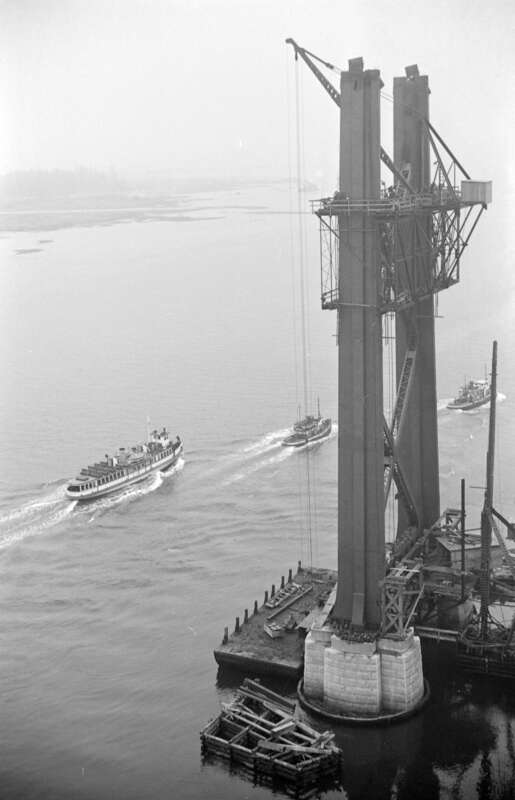 80th Anniversary of the Lions Gate Bridge, Vancouver 1938-2018. 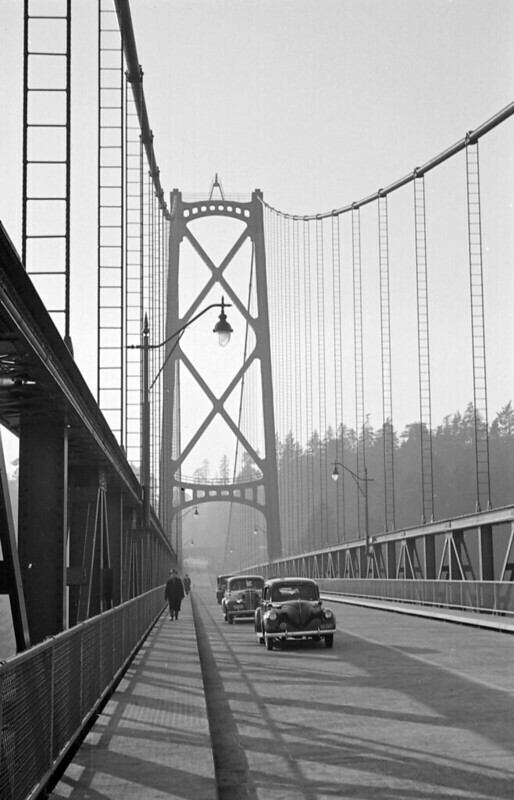 We celebrate the 80th Anniversary of the Lions Gate Bridge which opened on November 12, 1938. The 80-year-old span officially took its place as No. 63 on the Vancouver Heritage Foundation‘s list of Places That Matter in July 2013. 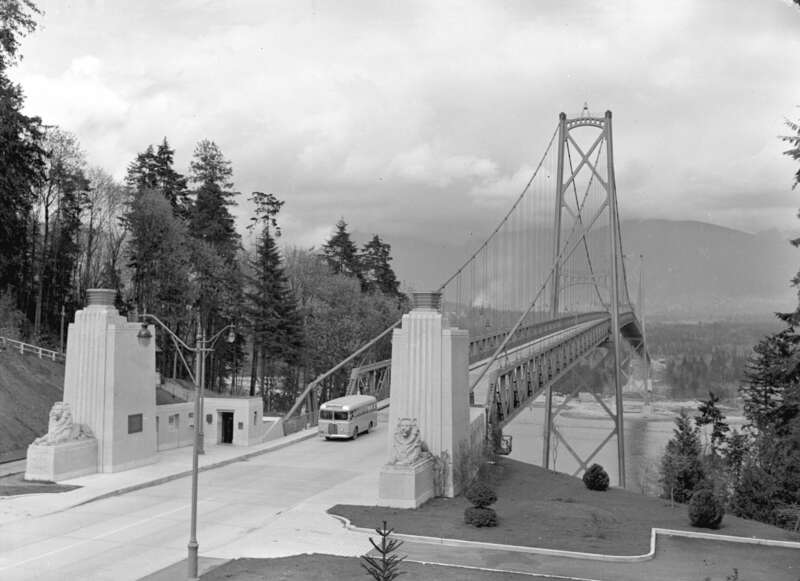 The Lions Gate Bridge, officially opened in 1938 and was known as the First Narrows Bridge. 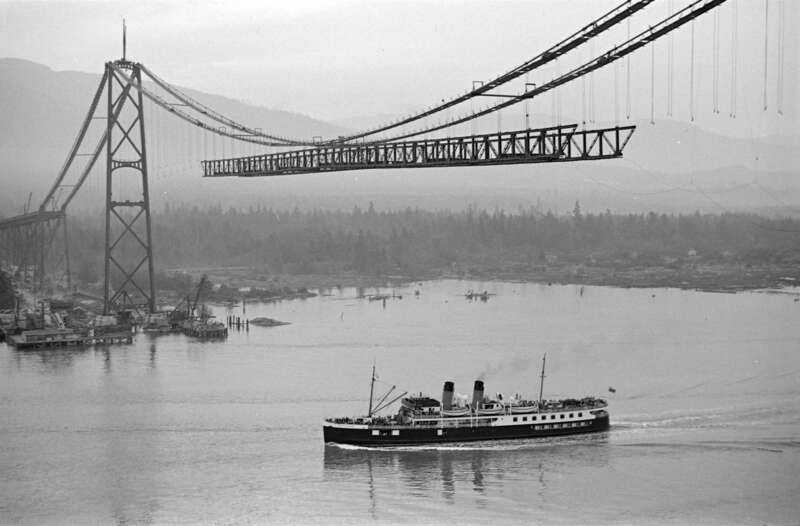 It is a suspension bridge that crosses the first narrows of Burrard Inlet and connects the City of Vancouver, British Columbia, to the North Shore municipalities of the District of North Vancouver, the City of North Vancouver, and West Vancouver. The total length of the bridge including the north viaduct is 1,823 metres (5,890 feet). The length including approach spans is 1,517.3 m (4,978 ft), the main span alone is 473 m (1,550 ft), the tower height is 111 m (364 ft), and it has a ship’s clearance of 61 m (200 ft). 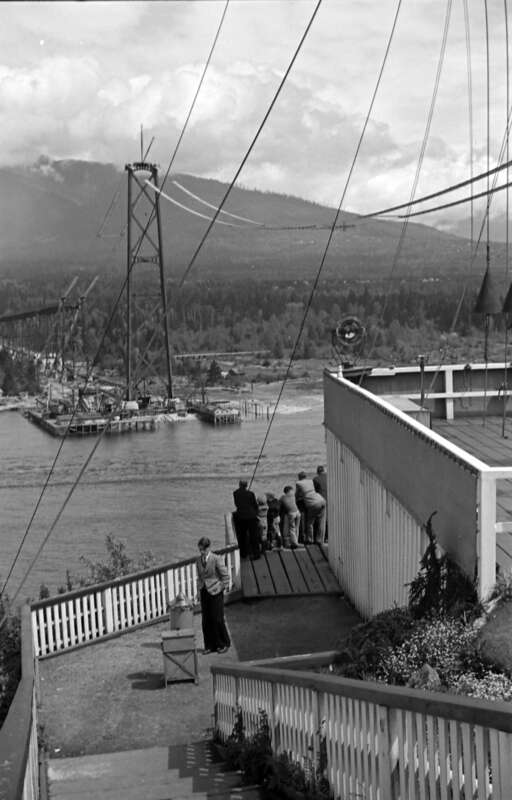 Prospect Point in Stanley Park offered a good high south end to the bridge, but the low flat delta land to the north required construction of the extensive North Viaduct. The bridge has three reversible lanes, the use of which is indicated by signals. The centre lane changes direction to accommodate for traffic patterns. The traffic volume on the bridge is 60,000 – 70,000 vehicles per day. Trucks exceeding 13 tonnes (14.3 tons) are prohibited, as are vehicles using studded tires. The bridge forms part of Highways 99 and 1A. Discover your home’s history. 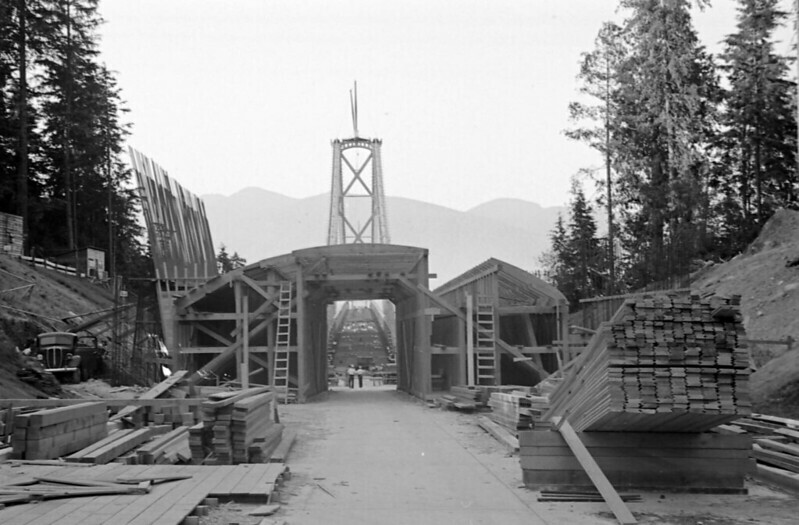 There are so many great historic photographs of the construction of the Lions Gate Bridge on the City of Vancouver Archives website. Next Oyster Season in Vancouver. How I Learned to Shuck Some B.C. Beauties!